TRADER 9: Trade of the day, AKAM!!! Made only one round trip trade today with AKAM, and came out with a small profit. 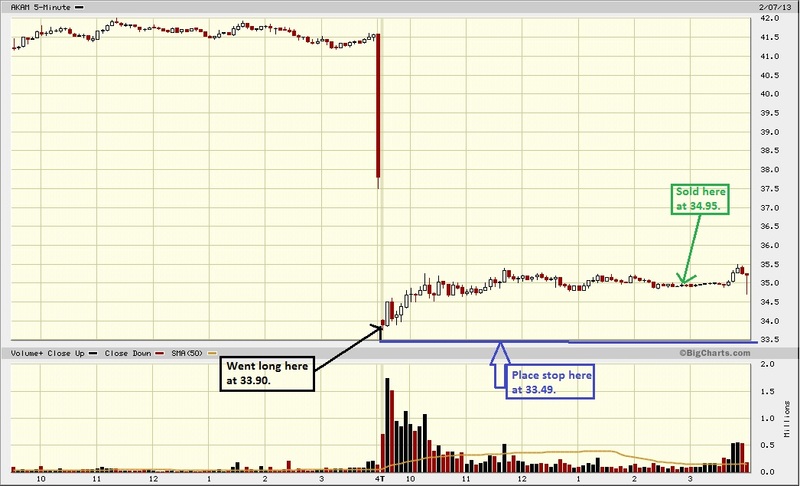 Went long 300 shares at 33.90, and placed stop at 33.49 hoping for at least a small bounce. It then started to consolidate for a bit, and I just tired of holding it, so decided to sell at 34.95 for a 1.05 point gain.